The latest release of Photoshop features several new updates for guides and smart guides. All input fields of the Guide Layout tool are scrubbable. If the Width and Height are left blank, the layout automatically resizes to fit the canvas. The Center Columns option will center align the layout if a specified width has been given for columns. Guides update quickly on the canvas to give you a preview. All input fields are scrubbable. Clear Existing Guides removes all previous guides on canvas. A blank slate for the layout being generated. Presets can be saved and defined as .gds files and can be stored anywhere on the system. If there is a layout frequently used amongst a team, those layouts can be stored on a shared folder. 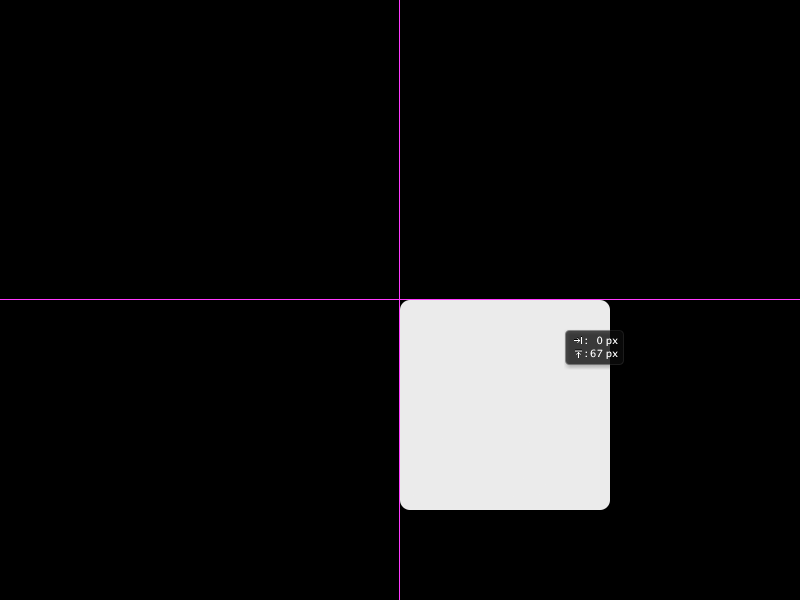 We've shipped 4 default layouts with this feature that are based on common web grids. Defaults do not have the column width defined, so they spans the width of the canvas. The idea for the New Guides from Shapes feature came from my own experience creating layouts in Photoshop. When creating a design, it's either from scratch or wireframes. Basic shapes are drawn on the canvas to define content. Guides are then dragged out from the ruler one by one. This saves time by allowing precise guide placement to be done in one step. I've set up Control + Command + ; as my keyboard shortcut. One nice detail of the feature is how it reacts to Point Text and Paragraph Text. Guides generated off of Point Text are aligned right against the outer pixels of the type. 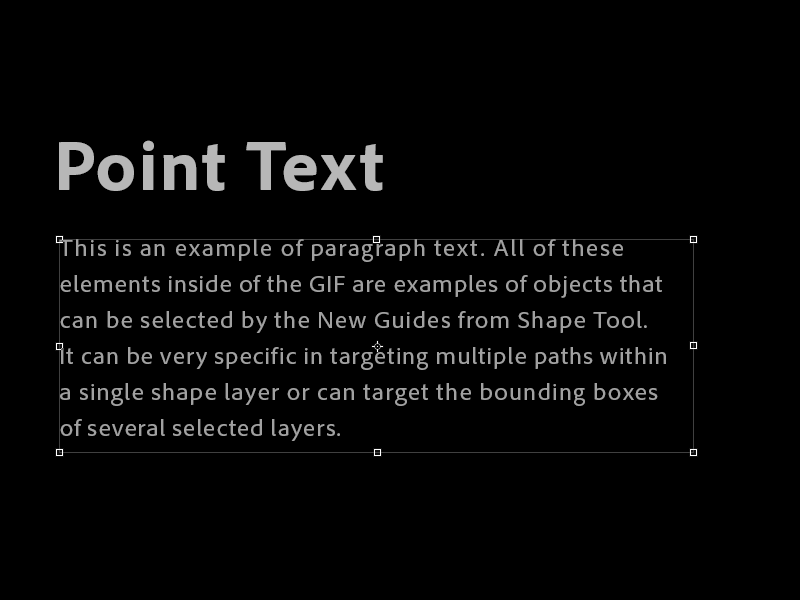 Paragraph Text guides are aligned to the bounding box. Another feature is the ability to target active paths within complex shapes. Here I have a shape with 6 smaller vector paths. Selecting these paths will render guides aligned to the paths, not the external shape. If the inner paths are not selected, the bounding box of the layer will be used to generate guides. Paths within a single shape layer have been selected. These are complex shapes, made up of multiple paths. New Guides from Shapes will generate guides only from selected paths inside of complex shape layers. The outer path and bounding box of the shape layer will be ignored. This is the default selection when selecting a shape layer in the layers panel. Notice the paths within the shape layer have not been selected. New Guides from Shapes will only render to the exterior boundaries of the complex shape layer in this instance. Smart Guides have been fine-tuned since the June 2014 release. Now the vertical and horizontal centers of the canvas will be detected when moving objects. Smart Guides displaying object relationships have also improved for better detection and relevant feedback.